It is only a lack of time that keeps us from organising more exhibitions each year. Our annual flagship exhibition the Art of Caring continues to grow in popularity, and stays true to our original ideals of inclusivity for artists. Because of its theme the Art of Caring is usually shown in hospitals or in nursing related spaces. 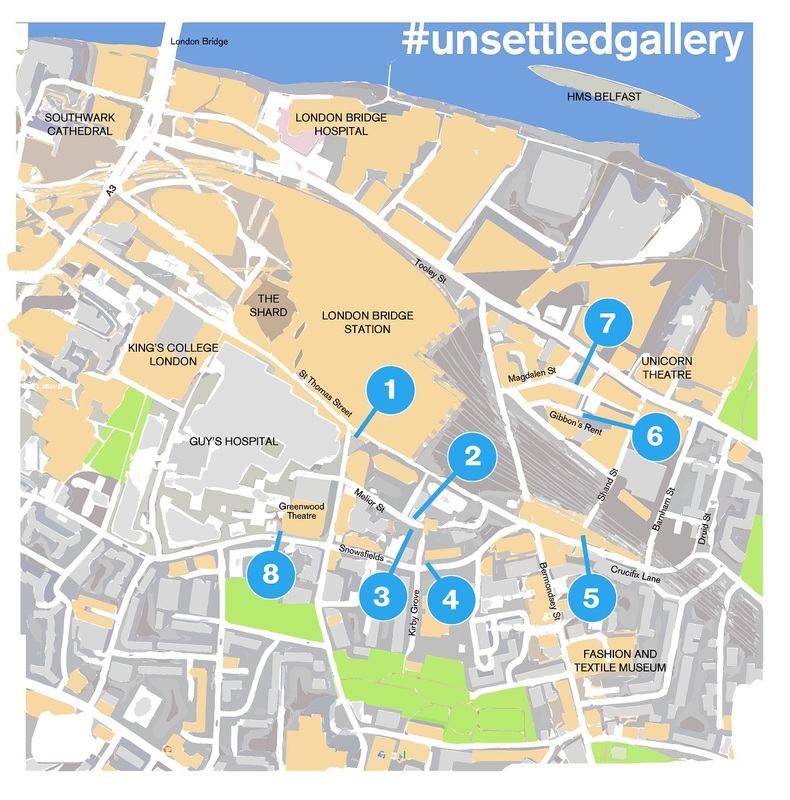 But recently we've been getting that itch to exhibit artworks back out on the streets. 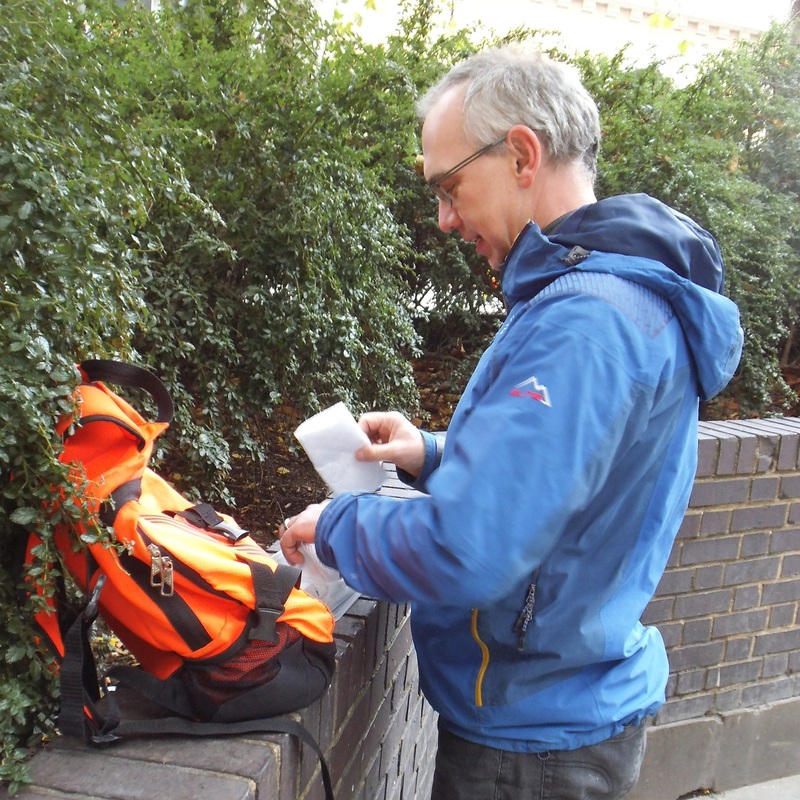 When we first started CollectConnect we found exhibiting outdoors was the most flexible, accessible and democratic of spaces. If someone didn't like the art we'd displayed in public, they quite simply picked it up and threw it away. More frequently people would pocket our art magnets, and take them home to display in their own gallery at home (usually their fridge!). Over the last few months Dean Reddick and Alban Low have been cultivating a series of public spaces around London Bridge. Although these spaces change and evolve on a daily basis, we have located several that can house artworks for a longer period of time. 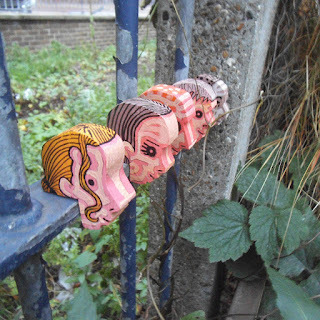 These have been in flowerbeds, on railings, between bricks, in gullies, beside drainpipes, attached to gates and basically anywhere an artwork can rest and be seen by the public. 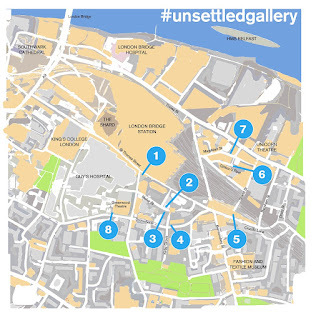 The #unsettledgallery, as its name suggests, is an evolving space that we have been populating with art. The London Bridge area is a thoroughfare for thousands of commuters each day. The Tate Modern, White Cube and Jerwood Space are a few metres away, Guy's Hospital sits within it boundary, alongside Europe's tallest building, The Shard. It has recently been targeted by 'terrorists' and people queue in a long line every day outside the Immigration Centre on St Thomas St. It has given us plenty of inspiration already but we hope it will now become a breeding ground for both our own art and other artists too. 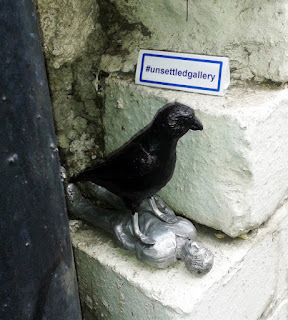 Dean Reddick has exhibited several bird related sculptures in Gallery No.1 (Dogend Gallery) and Gallery No.2. While Alban Low has settled on a group of railing in Snowsfields at Gallery No.8. 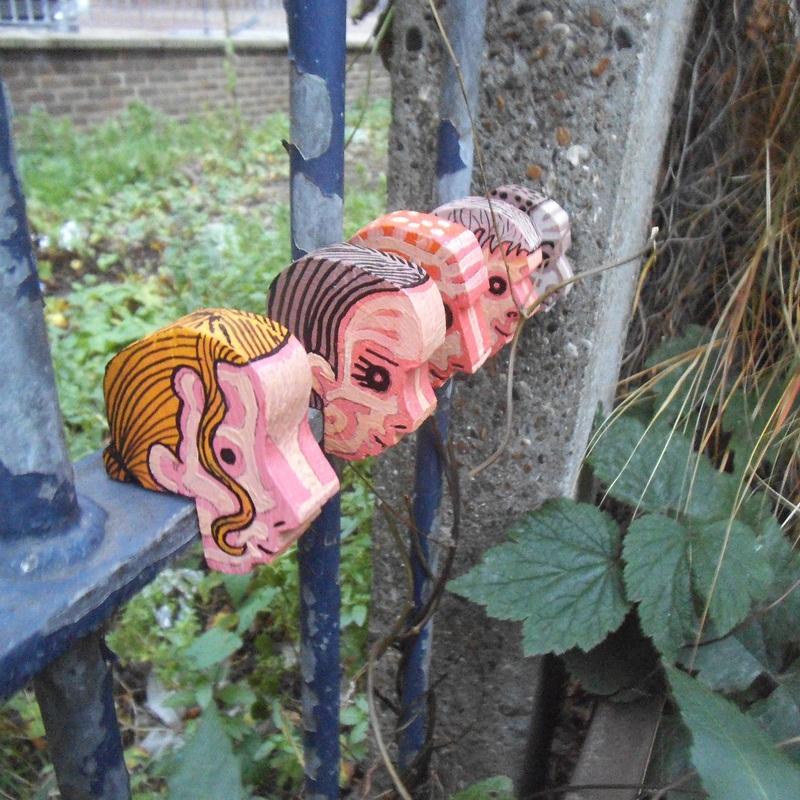 Where he's been placing a series of painted wooden heads based on his friend's profiles called Small Talking Heads. Of course we'll be posting many of them here on the website/blog too, especially as more artists come together for exhibitions. Our first exhibition will be Small Worlds which we'll be running in conjunction with Danish artist Eskild Beck. More info soon.